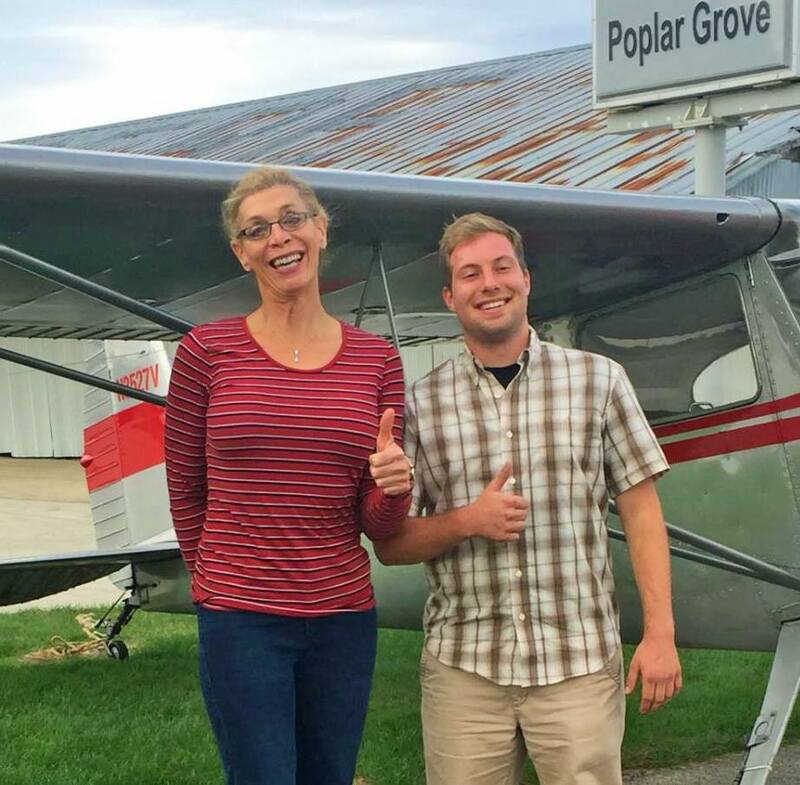 Poplar Grove Airport 45th Annual Fly-In a huge success! 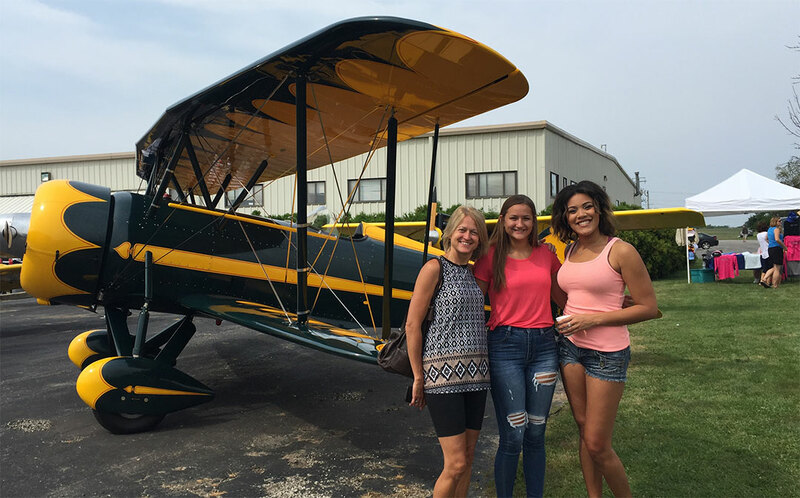 POPLAR GROVE, ILLINOIS – The Poplar Grove Airport (C77) celebrated its 45th Annual Fly-In August 20 2017. An estimated 3,000 people attended the annual event featuring a great breakfast served by the local Lions Club. The beautiful sunrise and dawn patrol flight starring a group of vintage round motor aircraft started the day. The rest of the morning was filled with many activities and displays from airplane rides, Flour Bombing Bingo sponsored by the local Rotary Club, airplane and automobile displays, vintage tractor pulls, museum tours, kids activities, EAA Chapter 1414 tours with demonstrations of a running Curtiss OX-5 engine and tours of the Poplar Grove Airmotive engine overhaul shop. The weather was perfect and the event was a huge success. 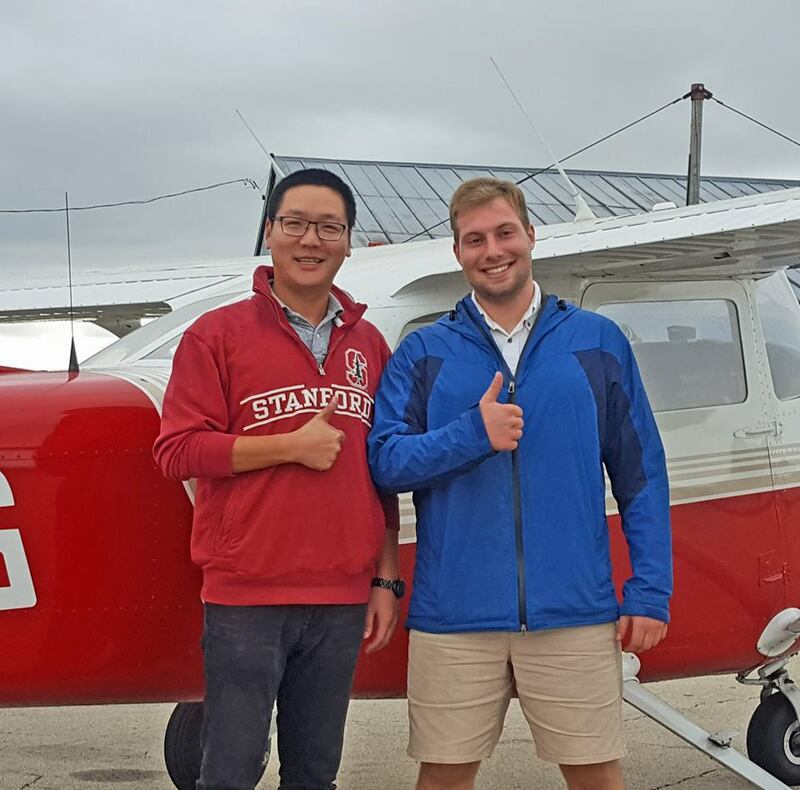 Congratulations to Abtin Spantman on his “First Solo” today! 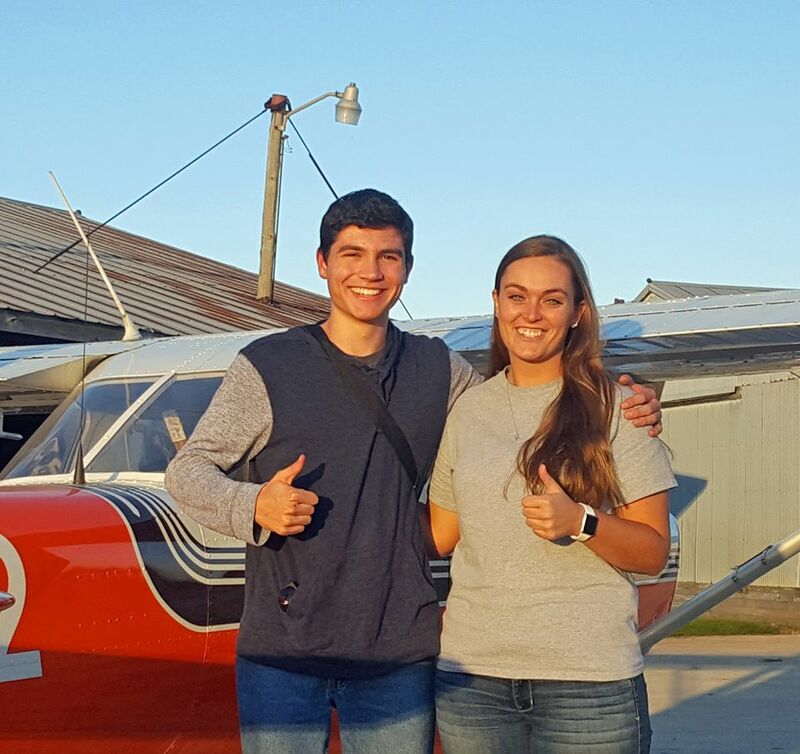 Pictured with his Instructor Nicki Ervin after flying our Cessna 172, N723PG….a lifetime dream realized today….great job Abtin! 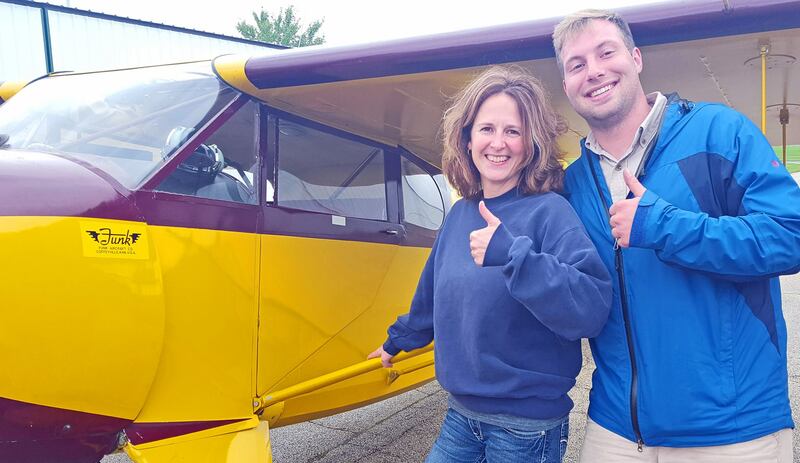 Congratulations to the Newest Lady Taildragger Pilot… Nora Badertscher on her tailwheel endorsement! Pictured with her Funk and thanks to instructor Ben Meek and Bradley Stottlemyer! 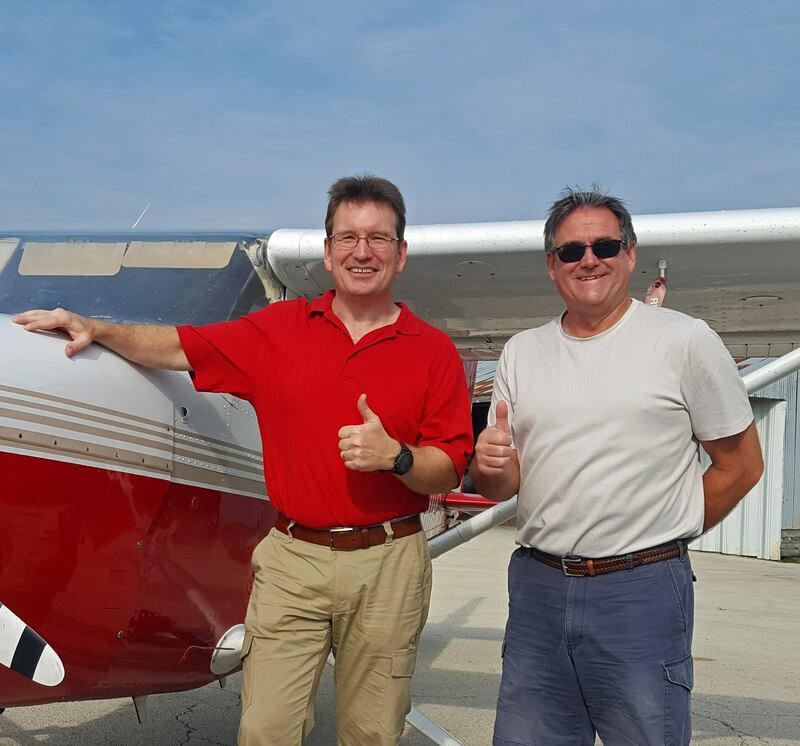 Congratulation to Markus Smith on his “First Solo” today pictured with his Instructor Ed Lewis after flying our Cessna 172, N4811G….great job on a breezy morning! 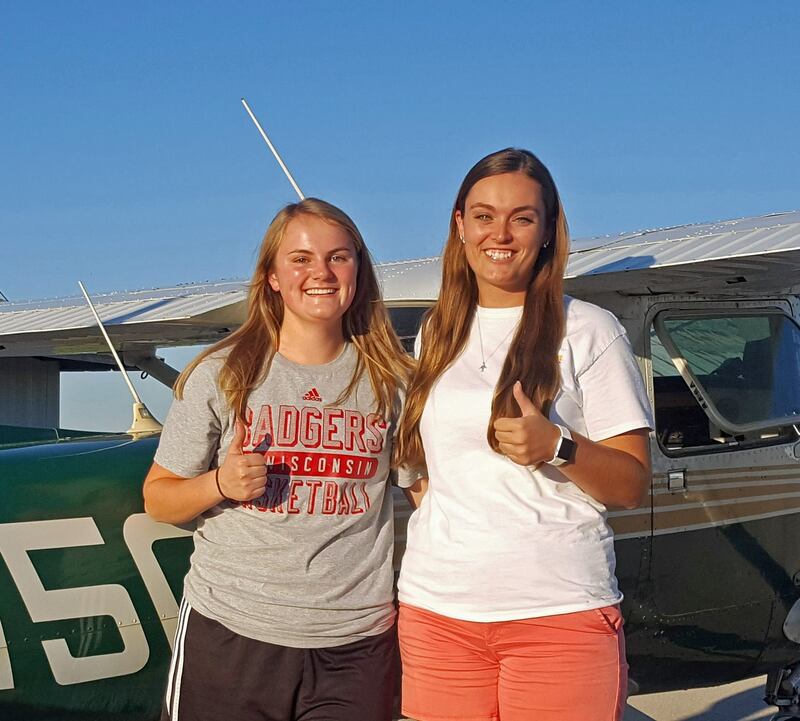 Congratulations to our own Karly Meyers on her “First Solo” today pictured with her Instructor Nicki Ervin after flying our Cessna 152, N68750….lady pilots rule!! 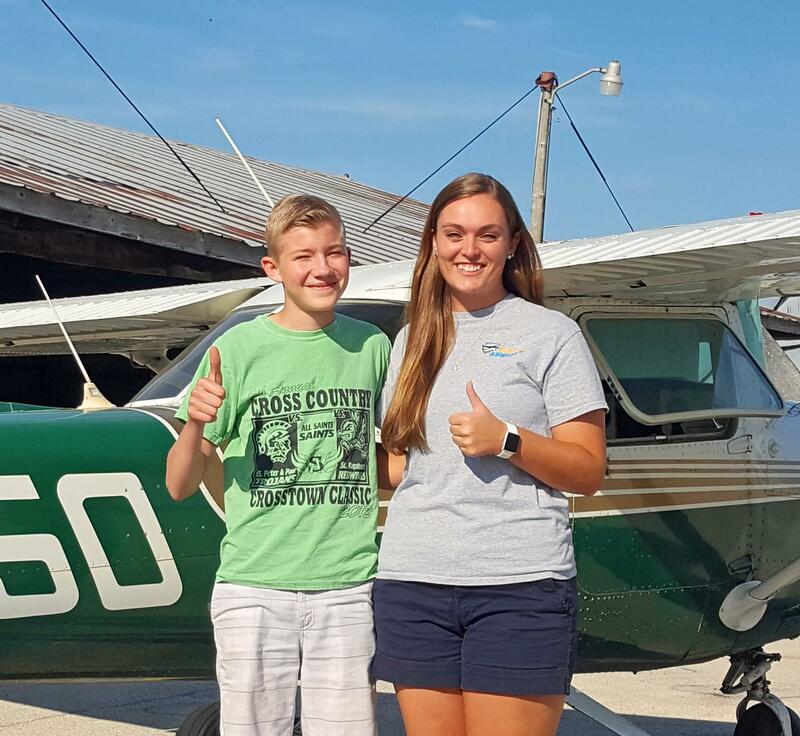 Congratulations to 16 yr. old Andrew Kluzak on his “First Solo” today. 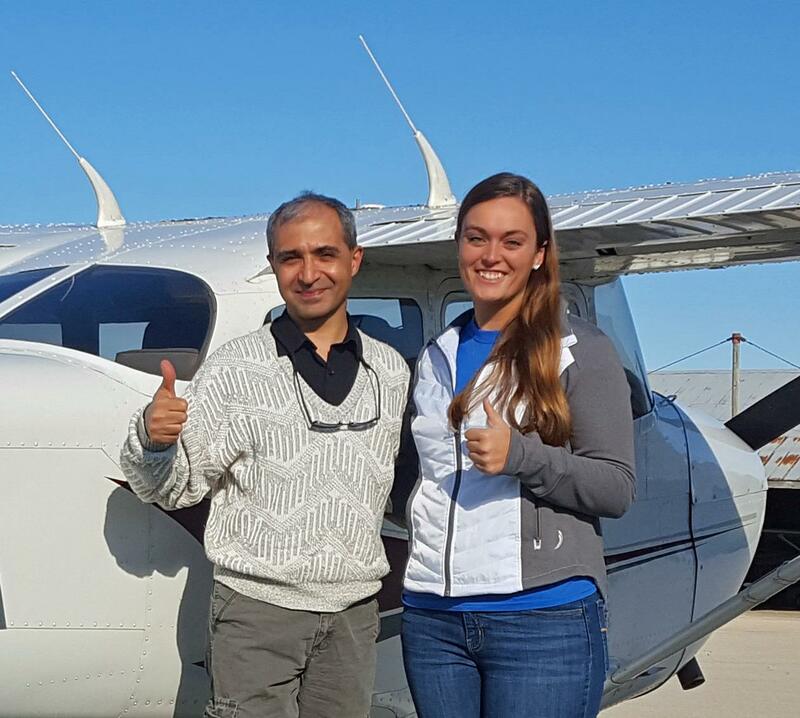 Pictured with his Instructor Nicki Ervin after flying our Cessna 152, N68750! Great job Andrew, a day you’ll never forget….have fun! 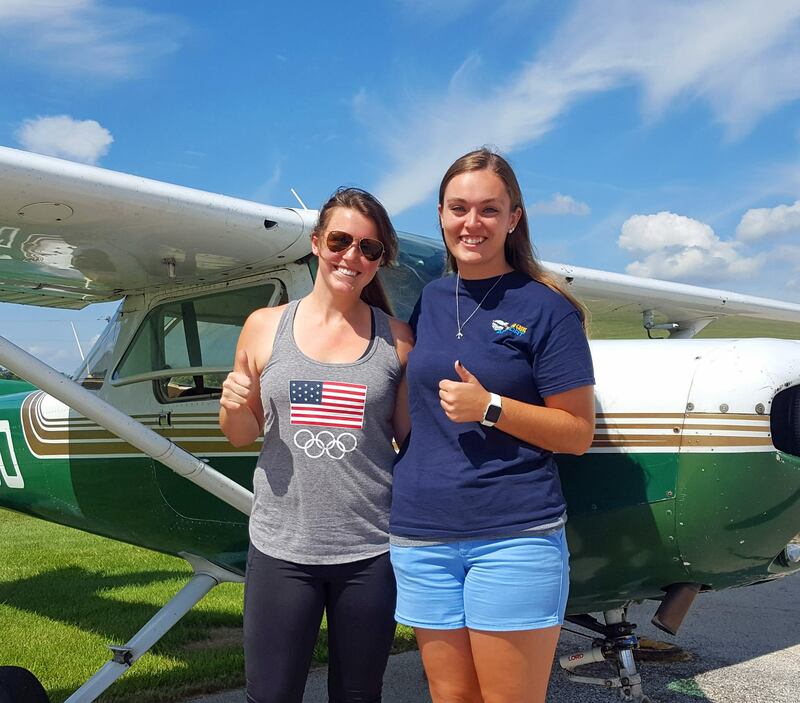 Ladies Rule…Congratulations to Amber Eck on her “First Solo” today pictured with her Instructor Nicki Ervin after flying our Cessna 152, N68750 on a breezy day…..great job Amber!